This is a new edition of the highly successful introductory guide to current Building Regulations and Approval Documents. 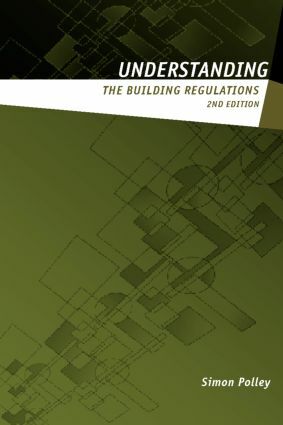 Including the major revisions to part B, it is an essential tool for those involved in design and construction and for those who require knowledge of building control. Thoroughly revised and updated, it will provide all the information necessary to design and build to the building regulations. This is an essential tool for construction professionals requiring a 'pocket book' guide to the regulations.